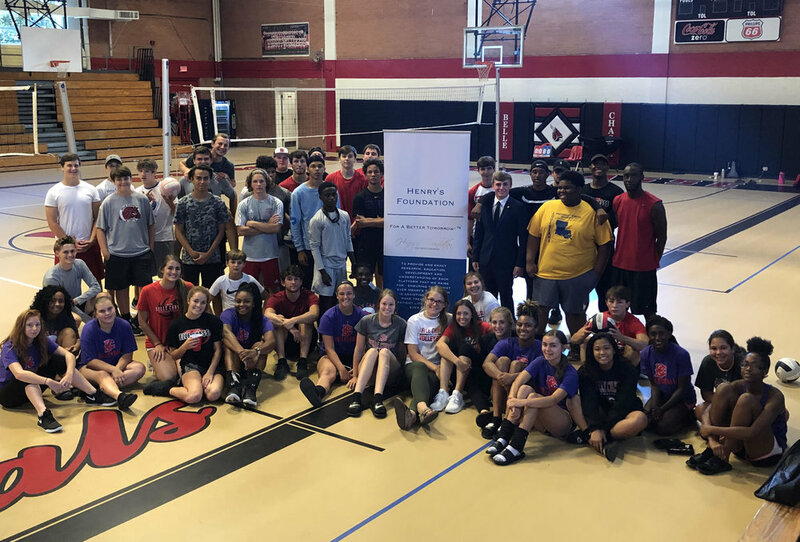 The Belle Chasse High School girls volleyball team hosted a tournament on July 24th, playing against boy students who chose to participate during the summer event. Head coach, Stephanie Andrews organized the event to bring attention to local nonprofits in the Belle Chasse and New Orleans area and to also introduce students to various ways they can make a difference in their community. Henry’s Foundation President, Elijah Henry was in attendance during the event to give an introduction and invited students to ask questions about the organization. Belle Chasse High School volleyball team and students take a photo with Henry's Foundation President, Elijah Henry.